The purpose of a personal injury case is to win a verdict or settlement and to get as much money as possible. That is the name of this game. For once, there is no denying it is all about the money (as long as justice dictates the victim deserves compensation). the loss or injury proximately resulted from the defendant's breach of the duty. 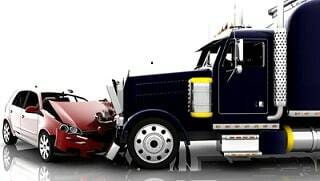 In traffic tort cases, the defendant’s duty (Element 1) is to protect the plaintiff from injury is generally to operate her vehicle as the “ordinary, reasonable, prudent person” would in similar circumstances. This does not require the defendant to have the skills to avoid a car accident that a regular person would not possess. The defendant breached the duty (Element 2) that she owed to you if she fails to comply with the duty to operate her car as an “ordinary, reasonable, prudent” person would. Continuing the example, if the defendant driver fails to reduce her speed to avoid hitting you in the rear, she has breached the appropriate standard of care prescribed by Maryland law. This is the critical issue our attorneys face in a lawsuit involving a car accident: whether the defendant driver violated this reasonable person standard. The determination as to whether the defendant has breached this rule is usually resolved by the jury (or in smaller cases, a judge). You must, of course, suffer actual injury or loss (Element 3). An example is that a Maryland driver has a duty not to pull out on you in traffic when she does not have the right-of-way. If she does anyway, but you swerve and avoid hitting her (even if it was only luck and great driving that saved you), because you have suffered no actual harm, the elements of negligence have not been met. Although she was negligent for driving improperly, there is no personal injury lawsuit without damages or injuries. The feeling of "I could have died" is technically an injury but it is not one you can anticipate getting damages for in the real world. Most automobile accident claims are all about the fourth element: what are the injuries? Finally, your injuries must be the proximate cause of the breach of duty (Element 4). Going back to the rear end car accident example, let’s say you are rear-ended and have a herniated disc after the crash. However, the evidence shows that you had a herniated disc before the incident and there was no increase in pain, the injury from your disc is unchanged. In this case, there would be no recovery in Maryland (or anywhere) because your injuries were not caused by the collision. The battlefield here is often pre-existing conditions. The most common are spinal injuries to the neck or back where the victim had problems with degenerative changes before the accident or another prior crash that caused neck and back injuries. If you have been harmed or lost a loved one in a personal injury case, you need the best possible lawyer on your side. Do your research. Find out who the best personal injury lawyer in Maryland are and decided who you want to fight for you. If that search leads you to Miller & Zois, call us immediately at 800-885-8082. You can also get a free online consultation.